Both warp and weft yarns with linen are super luxury 100% linen denim. It is very difficult to dye a 100% linen yarn with a rope dyeing machine, it is not a technology that can be done anywhere. 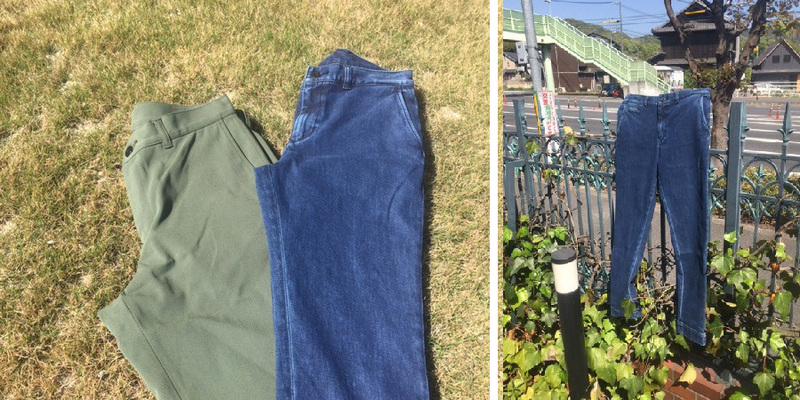 Showa's technician boldly challenged this difficult dyeing, finally finished linen denim finished. Please enjoy this denim with shiny and flexibility inside while supple. <L5714> is 10 oz, <L 5770> is 12.5 oz and we are offering easy-to-use quality.